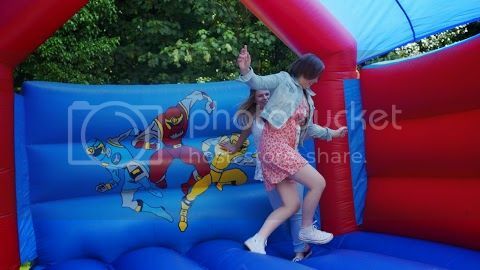 This year our annual summer party for all our Post Pal families past and present and also our volunteers is being held on Saturday 28th of June 2014. 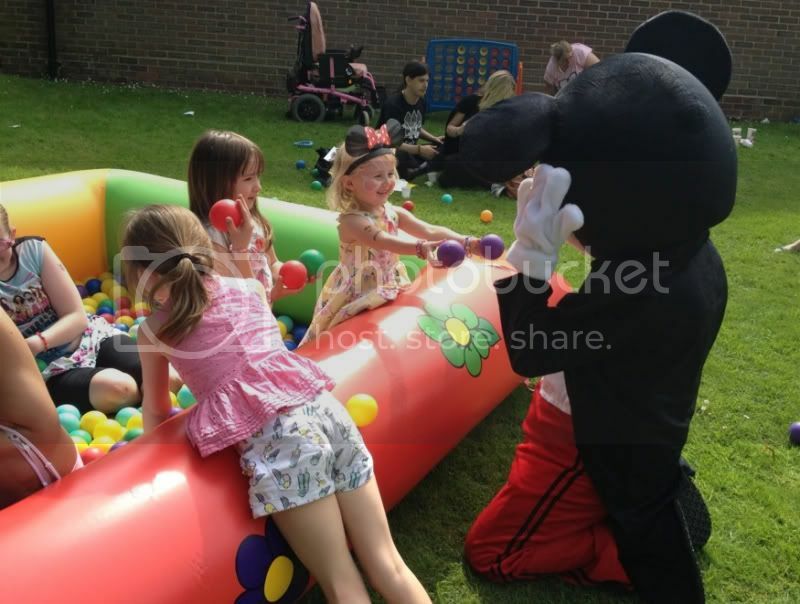 We have lots happening at the party with entertainment for all ages and abilities including face painting, a huge giant slide, ball pool, bouncy castle, funky hair (have your hair done in a funky style with added in rainbow hair or coloured items), have your caricature done, pampering, singing, entertainment and so much more! Not only will you get to meet other families but Peppa Pig, Minnie and Mickey Mouse and Spider-Man will be dropping in too. It takes place at the same hall and garden as the past couple of years. The address is St Lawrence’s Church Hall, Browns Lane, Effingham, KT24 5NL. The party starts at 12.30, last year some families stayed until 8pm. There is a small car park (with disabled spaces) at the hall and on road parking in the quiet street. The closest big station is Leatherhead and we will be running lifts to and from on the day. If you need a lift please could you email me on viks@postpals.co.uk with what time your train will be arriving, how many of you there are and if you have a wheelchair with you, also please could we have your mobile number. Post Pals has some money put aside to help families who can not afford to other wise attend. There is wheelchair access to everything including toilets and disabled parking in the car park. We will be hoping for sun but have activities for fun in all weathers. We recommend the Leatherhead Travelodge due to the location (lots of cafes and restaurants and is minutes away from the station) and we can do pick up and drop offs to the Travelodge. We are NOT booking any rooms like in previous years but will be able to help some families with the cost. We recommend booking now as family rooms are only £35. There is a group outing to Hobbledown on Sunday the 29th of June. Hobbledown is close to Leatherhead and will be a fun day out. 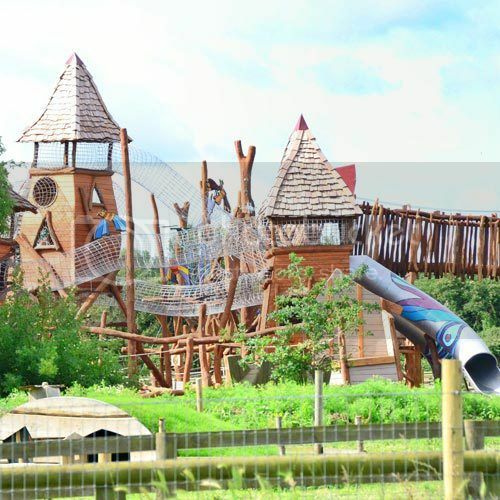 There are huge play structures, under ground tunnels, a maze, soft play barn, sensory area, animals including meerkats, petting farm, crystal mining in sandpits, high ropes course, zip line and so much more. There are more details on the website but sensible shoes are required (your not allowed to do things like the rope course in sandals) and no one is allowed to wear high heels. All activities are included in the entrance price and we will pay for all tickets and lunch for Post Pal families, volunteers are welcome but we are unable to fund you. We really need to have an idea of numbers for Hobbledown so please let us know if you are planning on coming. We know a lot of you won’t know for sure if you are able to attend but please let us know if you plan to. We need to know how many adults, children 2-17, under 2’s and how many of you are disabled (disabled tickets are cheaper and carer goes free). Please could you also let us know if you need help getting from Leatherhead Travelodge to Hobbledown. Please email viks@postpals.co.uk about the party and trip to Hobbledown. I’m pleased to announce this years Post Pals party will be on Saturday the 28th of June. All Post Pals families and volunteers are welcome to come along and join in the fun. It will be held in the same place as previous years (Effingham, Surrey). We are also in the process of planning a fun trip on Sunday the 29th of June to Hobbledown (at no cost to Post Pal families). There will be fun activities for all ages and we hope you can join us.